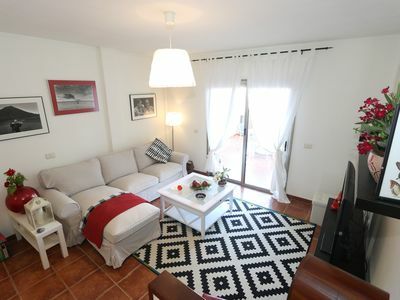 Welcome to Duplex Vistamarina, an amazing apartment on 2 floors, the perfect place for your holidays! On the ground floor, you will find a big terrace, with bbq, table, chairs and sun umbrella. You will proceed to a large and bright living room, with new sofa, 42" tv and dinner area. And to finish, a separate kitchen, fully equipped with oven, microwave, kettle, juicer, toaster, coffee machine and blender.